Through acts of kindness and generosity, big and small, we can make a difference to people in need. 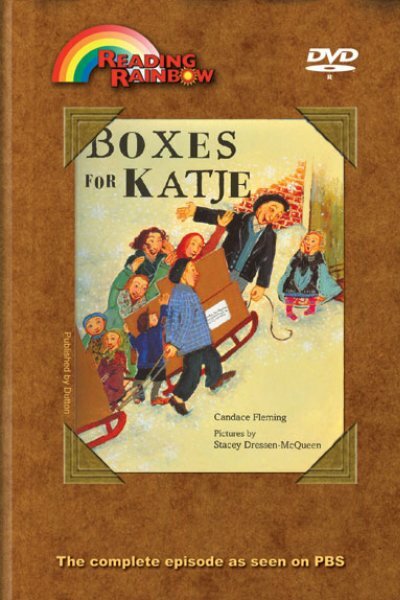 Boxes for Katje, based on real events, is about a charitable effort that begins with a girl and her family, who send a care package to Holland during World War II, and grows to envelop both communities. Host LeVar Burton introduces helping groups powered by young people - the Global Ambassadors, who build goodwill and do community service while learning about cultures through international communications and fundraising, and Backyard in a Box, youngsters who create and send kits to help kids in Hurricane Katrina devastated areas re-establish and enjoy their backyard. Backyard in a Box – Children For Children, a volunteer group of youngsters, creates boxes with fun and practical items and sends them to children whose backyards (and homes) were damaged by hurricanes Katrina and Rita. Global Ambassadors – This group of middle schoolers connect with schools in other countries to learn more about each other and their culture by way of teleconferencing. Backyard In A Box – Children For Children, a volunteer group of youngsters, create boxes with fun and practical items, and send them to children, whose backyards and homes were damanaged by hurricanes Katrina and Rita. Global Ambassadors – This group of middle schools connect with schools in other countries to learn more about each other and their culture by way of teleconferencing.